For this poem I am returning to one of the anthologies I have used before, selected by Kaye Webb from children’s suggestions of their favourite poems. I was surprised to see that this poem was from James Joyce; it doesn’t strike me as the sort of piece he would write. It has such a gentle, tender story book quality. But then I have to confess to not being a very experienced Joycean so perhaps my impression is wide of the mark. The poem was originally the title poem of a collection of love poems published in 1907 by Elkin Matthews. The young reader who put forward this choice in the anthology said it was, ‘because it reminds me of the best fairy tales, such as Rapunzel singing from a turret window at dusk…It is reassuringly old-fashioned and chivalrous…quietly inspiring and my favourite poem’. (Charlotte Woodward in I like this poem). One of the aspects I love about this collection is reading the comments made by the children (I wonder where they all are now – do they still read poetry?) showing their engagement and enthusiasm with the written word. I’ll leave you to enjoy the rest of your weekend, wherever you are. Regards to all James Joyce aficionados celebrating Bloomsday. The Night Mail by W.H. Auden (1907- 1973) combines two of my favourites things, letters and train journeys. It was written to accompany a General Post Office (GPO) film made in 1936 about a London, Midland and Scottish Railway (LMS) mail train from London to Scotland. In the film, the music was composed by Benjamin Britten and The Night Mail was recited by John Grierson. As the poem was written to tie in so closely with a train journey it has a great rhythm for reading aloud. At this point in the poem, the Night Mail train has almost reached Glasgow, with postal workers beavering away on board all night. My dad used to be a postman (though he never worked on the night mail train) and I ordered the DVD of the film for him a couple of years ago (see a clip below) as a Father’s Day gift. Of course, the fascinating thing about this poem is that it shows just how much people would have relied on the post for all sorts of things that we receive digitally these days. But where’s the romance in an email? I’ve taken this poem from a collection that I picked up in a charity shop in Dublin a few years ago. It’s an interesting collection in that the editor Kaye Webb (1914- 1996) made her selection from around 1,000 recommendations from children so it is genuinely a children’s poetry book. I may return to it later in the month as it contains a few old favourites of mine. Now, go on – write a letter to someone today! I know that this will be two children’s poems in a row, but I suppose that the excitement of having some sustained sunshine has addled my brain a little. In fact I’m beginning to suspect that this #PoetryinJune challenge may end up featuring rather a lot of light-hearted or comic verse. As summer is finally on the horizon, there may be just cause to steer clear of sad or tragic poetry (though that doesn’t mean I will eschew sadness completely). Having decided on comic verse, you can’t do much better than to choose one of Hilaire Belloc’s wonderful Cautionary Verses. The problem then, was which Cautionary Verse to choose for my featured poem. After much deliberation I decided on the following. This was solely on the basis that suffering from a sore throat as I was, I rather liked the thought of it being as the result of purple and pink microbes. The edition I have here is a selected edition (mine is a 1968 reprint) taken from the illustrated album edition published in 1940 by Gerald Duckworth & Co. I dare not even consider how much you would pay for a first edition (381 illustrations and cloth gilt cover) these days. The illustrations of Belloc’s verses are by Nicholas Bentley and B.TB. (Basil Temple Blackwood). The above poem comes from More Beasts for Worse Children which was first published in 1910 as a separate book and later included, along with Cautionary Tales for Children (1907) in the album I mentioned. The drawings for ‘The Microbe’ are from B.T.B. Now, I will see if I can become a little more serious for tomorrow…. This is a really silly verse to celebrate the June Bank Holiday (well, it’s a holiday if you happen to be in Ireland anyway). Juggling with Gerbils is the title poem of a Brian Patten collection published by Puffin Books in 2000. Illustrations (and not only of gerbils) are by Chris Riddell. Even though I have been a gerbil owner myself I still find this poem funny. And before you ask, I have never tried it myself. Honest. Patten’s collection found its way onto The Landing a few years ago via a library sale in Dundrum, Dublin and has been read many times over. I somehow doubt if we’ll ever grow too old for gerbil juggling! Can end up feeling ill.
Juggling gerbils till they’re ill.
Brian Patten was born in Liverpool in 1946 and formed the Liverpool Poets with Roger McGough and Adrian Henri in the 1960s, bringing out The Mersey Sound in 1967. His first solo collection was also published in that year, Little Johnny’s Confessions and has written extensively both for adults and children since then. If you all cast your minds back to last December, you will recall that I set myself the daunting challenge of writing a seasonal posting every day during Advent. Somewhat to my surprise, I did indeed manage to do just that very thing. Ever since then I have in mind to attempt a similar challenge later in the year. Well, dear reader(s) that time has now arrived with the advent of spring (or what passes for spring in these parts at any rate). 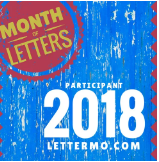 To a great fanfare (well you’ll just have to imagine that bit) I am hereby announcing that the month of June will be Poetry Month (#PoetryinJune) on The Landing. I have been scouring the shelves here and blowing the dust off a few volumes that I have not looked at in a while. My intention is to put together a mixture of old and new(ish) poems, which will include a few childhood favourites too. My grand plan is to work out a complete list ready for June 1st but I may end up flying by the seat of my pants part of the way through the month. I belatedly caught up with the poetry readings at the National Gallery of Ireland, which are run in association with Poetry Ireland. This has also helped to spur me into action and to include a sizeable chunk of poetry on the blog. Yesterday I was listening to Peter Sirr reading from both his own poems and his translations. One of the translations he read was Maison á Vendre (House for Sale) by André Frénaud both versions of which you can find on Sirr’s blog The Cat Flap. I will have to apologise in advance if my choices for next month are not your choices but I will try to put together a reasonable mixture culled from our shelves. In fact, I have to come clean and admit that I never manage to read as much poetry as I would like. I am much more likely to pick up a novel or short story collection if I’m browsing and in need of something to read. Last year was supposed to be my year of reading more poetry so I picked up a couple of Faber volumes in a book sale to try and broaden my range but they are still languishing on the shelf. Next month may then prove to be a voyage of discovery for me as there are clearly poetry books on our shelves that I have barely even opened. However, I will certainly feature a few poems from my childhood that have been read many times over and that are still enjoyed. This will, I hope even the balance a little and perhaps remind me of a time when I was more poetry minded than I am now. I used to have a Puffin collection of children’s poems and a Children’s Treasury containing stories and poetry. The latter still survives so I will choose a favourite memory from its rather battered pages for one of my blog entries. At last Wednesday’s Poetry Ireland reading by Michael Krüger I jotted down his assertion that ‘a day without reading a poem is a lost day’. Let’s see what I can do about that during the course of next month. Let me know about your favourites if you have time to drop me a line (use #Poetryinjune on Twitter). Albert’s Christmas written by Alison Jezard and illustrated by Margaret Gordon, Puffin Books, 1978, 1986. First published by Victor Gollancz in 1970.
edition offered for fifty pounds). Sadly, the Albert books now appear to be out of print. This friendly teddy bear lives in a cosy basement flat in Spoonbasher’s Row in the East End of London. ‘Children were everywhere and their voices were full of excitement as they chose the things they wanted most. Fortunately Albert is not a teddy bear to take offence and he soon makes friends with the boy (Ian) and his mother. He is even invited to spend Christmas Day with the family. What with that, mistletoe gathering and playing the part of Father Christmas at a children’s party, Albert Bear has his best Christmas ever.